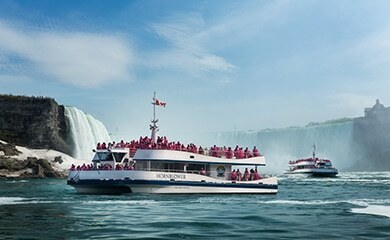 Let us show you the sights and sounds of Niagara with our fully narrated Niagara Falls Scenic Tour. See the sights and feel the roar of Niagara Falls. 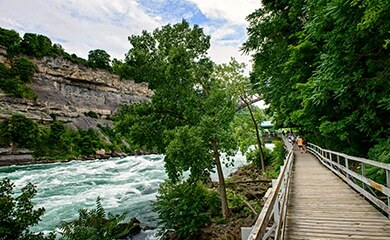 This full day Niagara Falls Scenic Tour is our signature tour. Experience the majesty and power of Niagara Falls while getting to the front of the line. Our prices are among the best in the luxury tour market and we are committed to offering more during your stay in Niagara Falls through our Niagara Falls Scenic Tour. Take a walk like no other, along a boardwalk at the very edge of one of the world’s wildest stretches of whitewater! Marvel at the relentless power and beauty of nature and see how the deep and narrow Great Gorge was created. 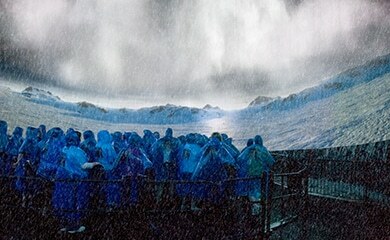 While visiting Niagara’s Fury the temperature will drop 20 degrees. Water will bubble and spray while snow falls all around. Standing in the mist on a massive platform you will feel the full wrath of Mother Nature as the floor tilts and trembles beneath you. Incredible images produced on a 360-degree screen with technology previously used only in satellites and medicine will immerse you in a “4D” Universal Studios-style attraction. 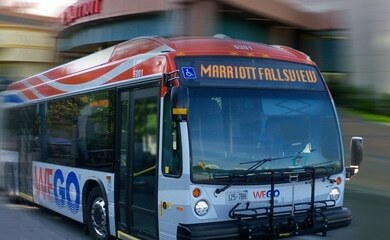 The WEGO is a state-of-the-art bus system helping you travel with ease throughout the city. Bus stops are located all throughout the tourist district. Easily get to the outlet mall located on Lundy’s Lane.